2009: "Prix Jean Teghem", given each 3 years by the CEP-ULB for outsanding outreach activities performed by a researcher. 2014: Roberval prize in the category "grand public", for an outstanding outreach book on technology - rewarding the book "Voyager dans l'espace"
A heart in darkness (based on ApJ, 580, 225), see also the Spaceflight and NASA photo release. These data were HEASARC Picture of the week in december 2002 and Astronomy Picture of the day on February 14 2003 ! 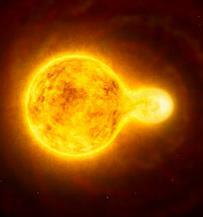 Really hot stars (based on A&A, 408, 171), see also Science news, Ciel & Espace, Spaceflight, MSNBC, SPACE.com and Innovations report. These data were also Astronomy Picture of the day on April 10 2003 and April 21 2004 ! 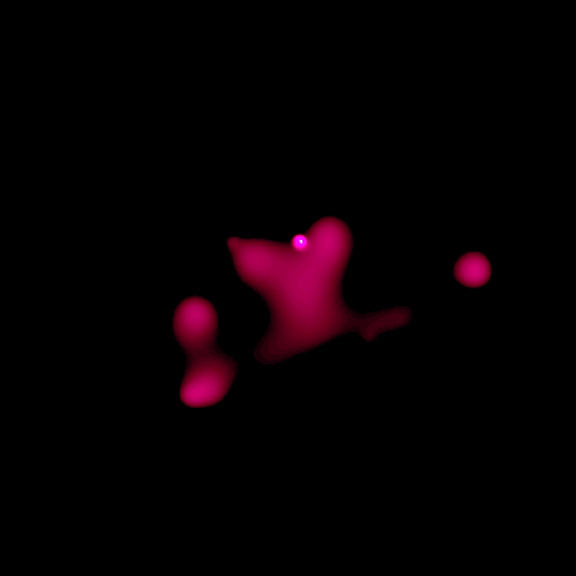 Hubble studies generations of star formation in neighbouring galaxy (Hubble Heritage image of N11B, based on AJ, 122, 921), see also the HST-ESA release . These data were Astronomy Picture of the day on July 7 2004 ! Hubble peers into a celestial geodeimage (based on AJ, 124, 3325), see also the HST-ESA (ESA) release, Spaceflight, Space.com, Innovations Report, SpaceRef, EurekAlert. These data were Astronomy Picture of the day on August 19 2004 ! Cosmic collision(ESA release, based on ApJ, 658, L25), see also GSFC, ULG press release (in French), Spaceflight, Space.com, Innovations Report, SpaceRef. 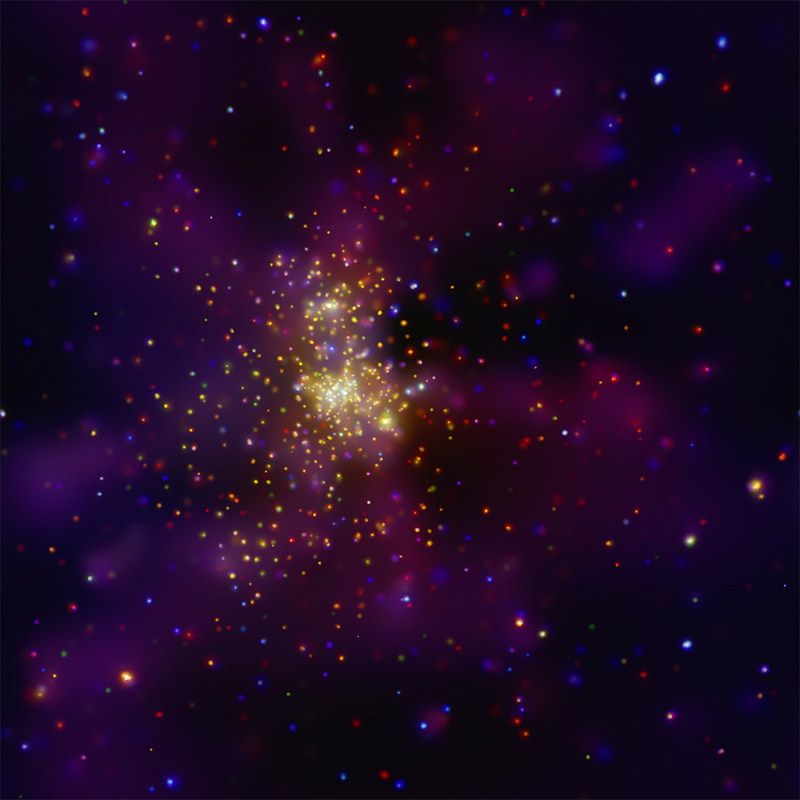 Westerlund 2, a stellar sight(Chandra release, based on A&A, 483, 171, 2008), image of the day at Space.com, NASA and Astronomy Picture of the day on January 31 2008. 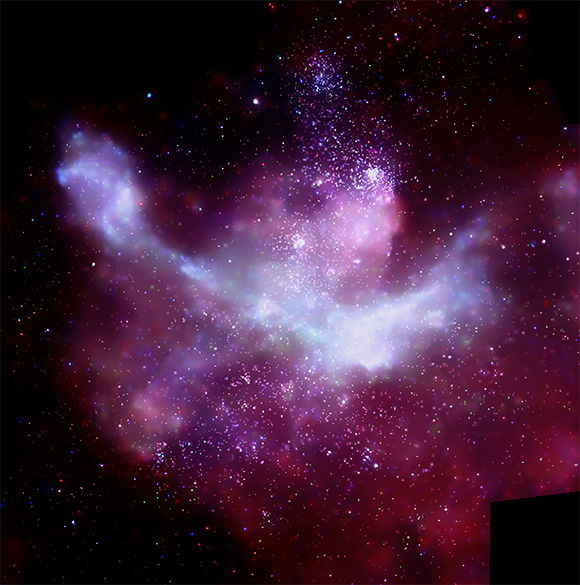 Carina, a nearby supernova factory(Chandra release, based on the CCCP, special issue of ApJS in 2011). 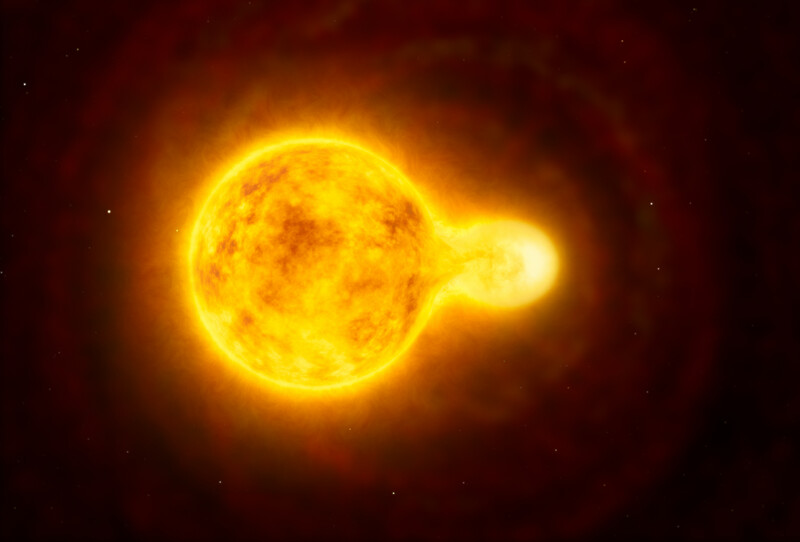 Wind-wind collision in a massive binary seen in X-rays, ESA release, NASA release and ESA-Scitech release (based on A&A, 546, A37, 2012, see also Reflexions). Winds are highly fragmented, ESA release (based on A&A, 538, A22, 2012; ApJ, 763, 143, 2013). 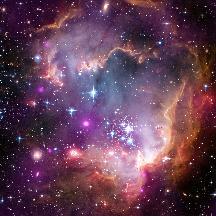 Young suns detected in the Small Magellanic Cloud thanks to Chandra, NASA release (based on ApJ, 765, 73, 2013). A very rare occurence: an extremely big star interacting with its companion, ESO release (based on A&A, 563, A71, 2014). 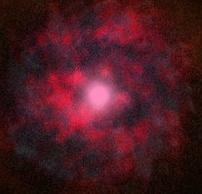 Surprise - a new type of X-ray variations: pulsations in a magnetic massive star, ESA release (based on Nat Com, 5, 4024, 2014). These data were HEASARC Picture of the week in June 2014. Unexpected (and counter-intuitive) change in a wind-wind shock, ESA release (based on ApJ, 853, 164, 2018).